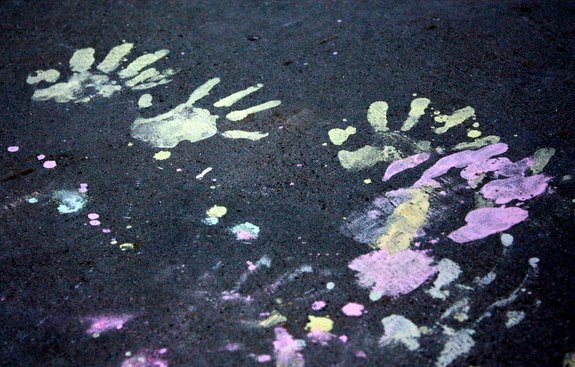 We made homemade sidewalk chalk paint at our house last week, and it was a big, fat hit. 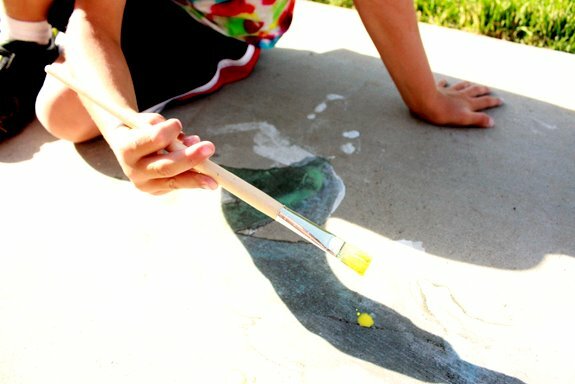 It’s basically liquid sidewalk chalk you paint onto the sidewalk with a brush. So much fun. 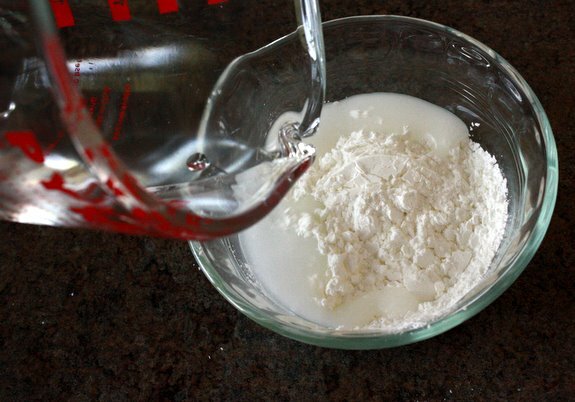 It only takes 3 ingredients, one of which is water. Hallelujah. 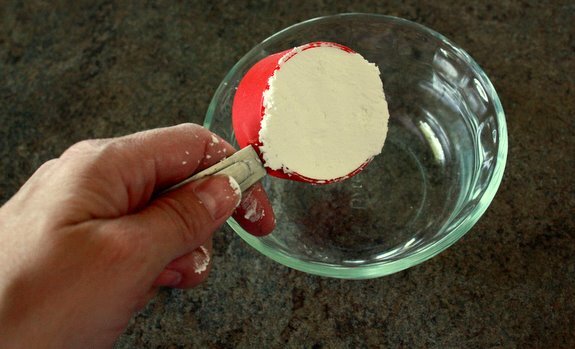 Measure your cornstarch into a bowl. 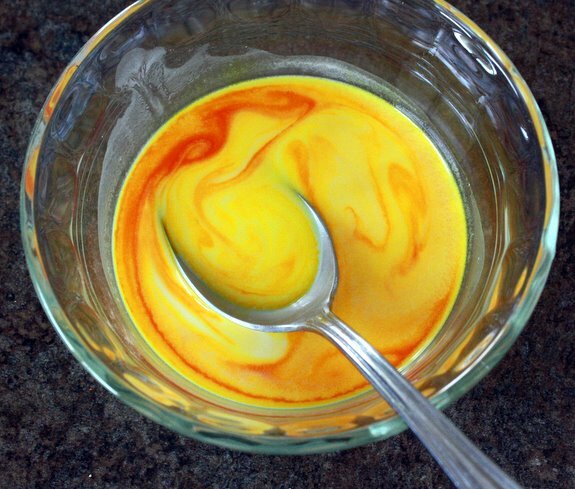 I chose to start off without doubling the recipe, but in the end I needed to double it to make enough for 4 colors. 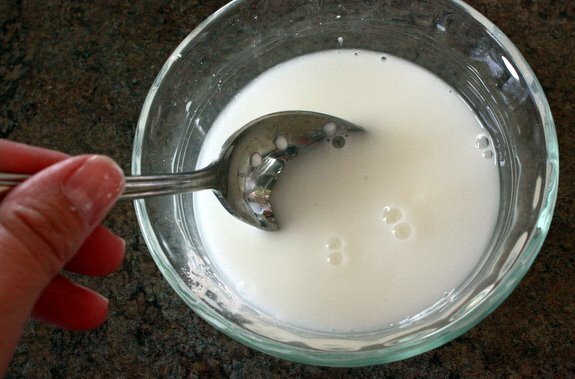 Add water and start mixing. 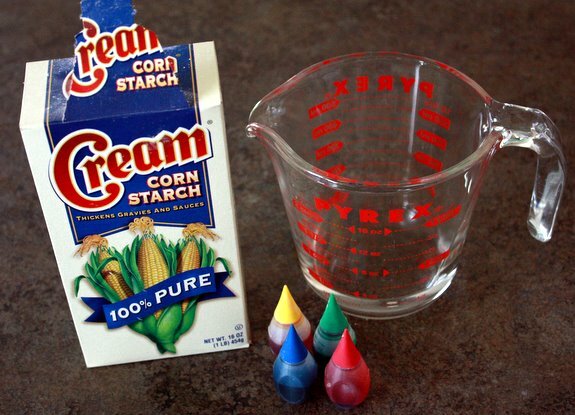 It’s going to be a little tough, because you’re mixing cornstarch and water, but be persistent. I know you can do it! I believe in you! 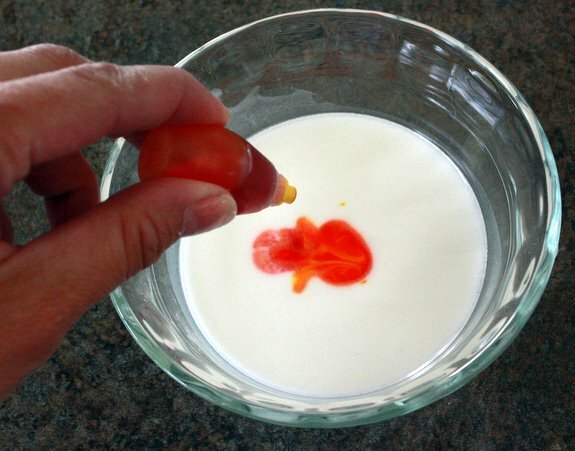 Once it’s thoroughly mixed together, add a few drops of food coloring. This is the best part. Mix well. Isn’t it pretty? I think so. 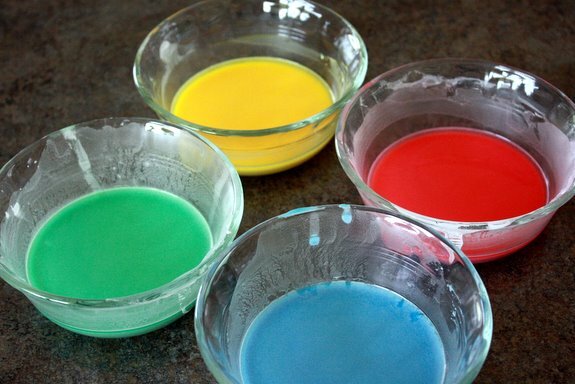 I made the four basic colors in my food coloring kit, but you can mix and match and make whatever colors you want. Now take it outside and start painting. I only made enough sidewalk paint for onetime use but if I were you, I’d double it up and store it in glass baby food jars for later. It’s a solid afternoon of fun. And a solid afternoon of peace? Means mama can read her magazine in peace. Bless you for reposting this today! :) My kids are enjoying it while I type!